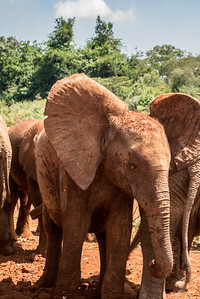 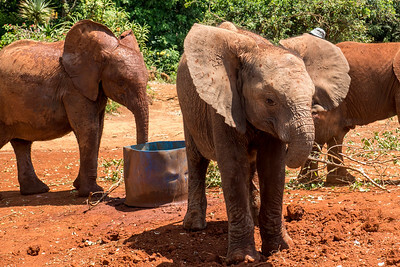 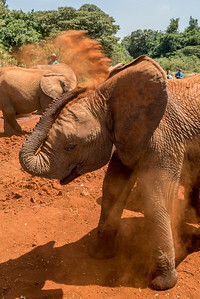 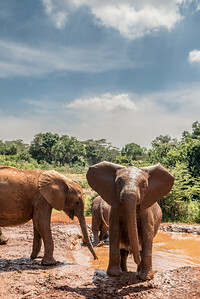 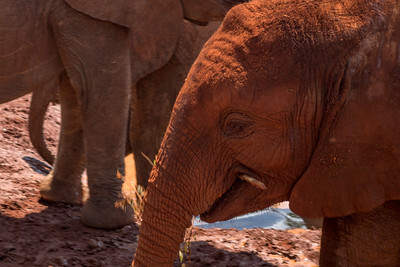 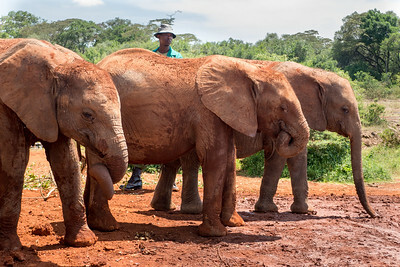 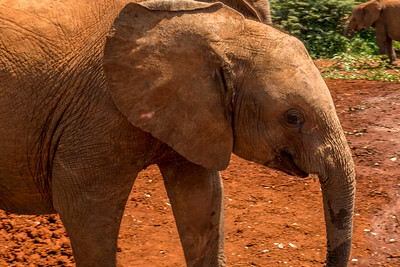 One of the top tourist activities in Nairobi Kenya is a visit to the David Sheldrick Wildlife Trust Elephant Orphanage and the nearby Giraffe Center. 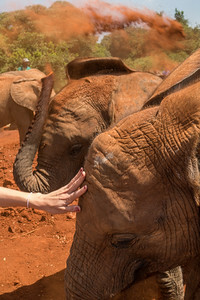 Both of these organizations rehabilitate animals and offer tourists the chance for an up close encounter with them both. 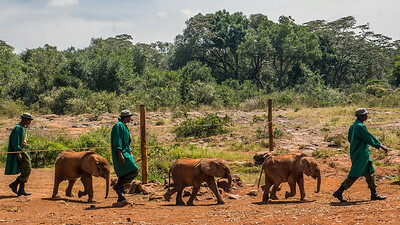 The elephants are mostly all rescued. 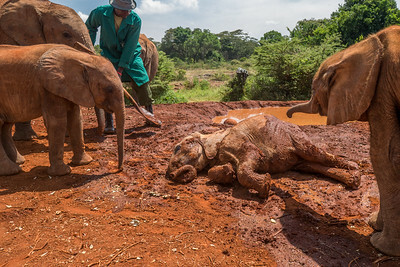 Some were found when their mother was shot by poachers. 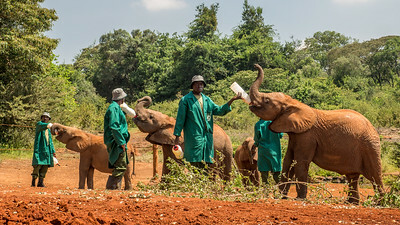 Others came to the Trust injured. 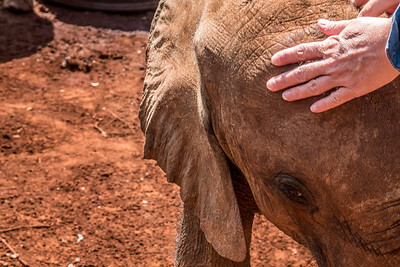 All are cared for and loved. The center brings the elephants out into a large corral several times a day so that tourists can watch the baby elephants feed from bottles. 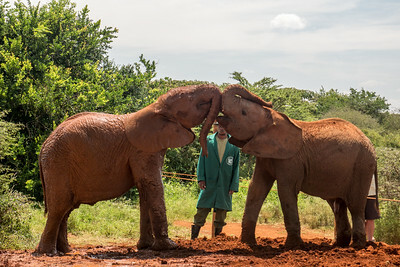 Then they play in the mud pits. 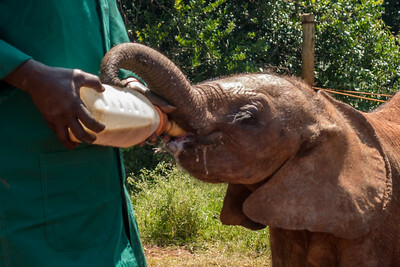 It's very sweet. 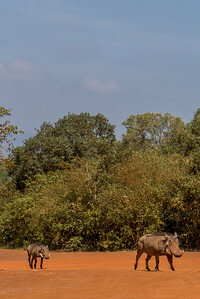 At the Giraffe Center, giraffes have a wide field filled wth trees where they can wander. 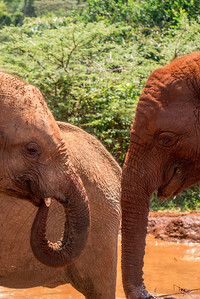 When they spot tourists in the balconies on the properties, they canter over for a few snacks — and a few kisses! 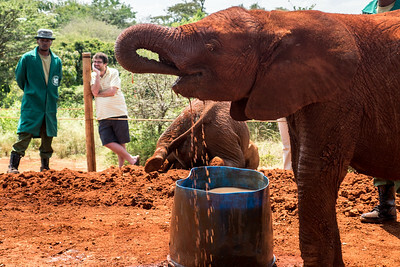 It's a little nuts to put it between your teeth and let them nip it from your mouth, and a little gross. 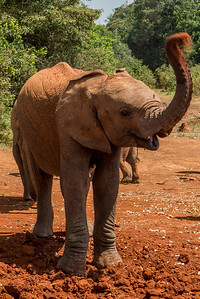 But pretty fun too. 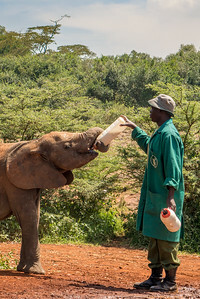 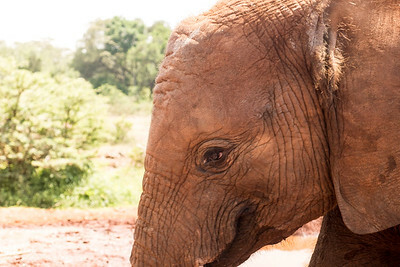 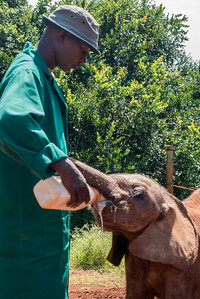 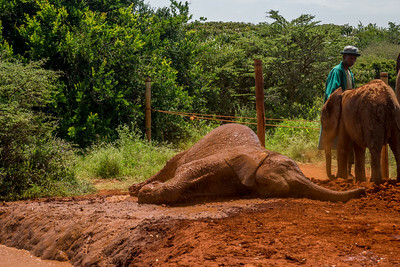 David Sheldrick Wildlife Trust and Elephant Orphanage. 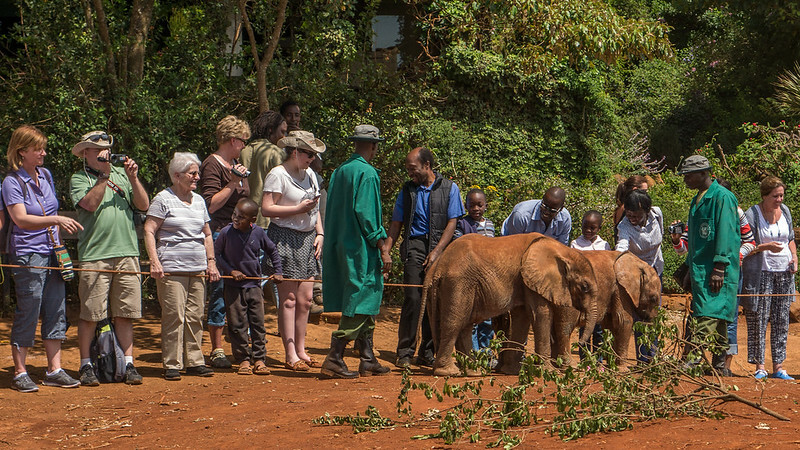 Learning about the work being done at the elephant orphanage on the outskirts of Nairobi, Kenya.